Sunday, March 3, 2019, 8:00 to 11:00 a.m. Enjoy a breakfast of pancakes, sausage, fruit cup, coffee and juice. Tickets are $7.00 per person and may be purchased by calling Bill at 508-996-3420. 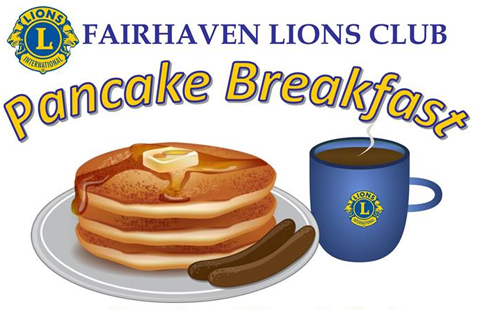 Proceeds benefit the projects of the Fairhaven Lions Club, providing 75 years of service.